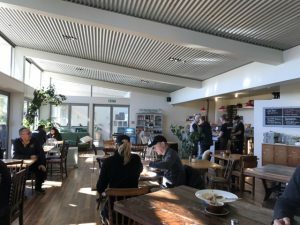 Set on the banks of the Maitai River, you could easily reach this lovely cafe on foot or bike to help build up an appetite! Serving breakfast and lunch everyday, you can sit outside, bathed in sunshine and watch life by the river pass by or inside in the bright airy cafe itself. 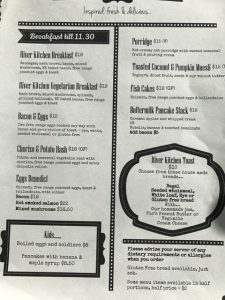 There are a couple of kids’ options on the breakfast menu but they’ll also try to do half portions of the regular menu where they can. There’s baking in the cabinet and a couple of specials that change daily. There are some toys and books for younger kids and highchairs.